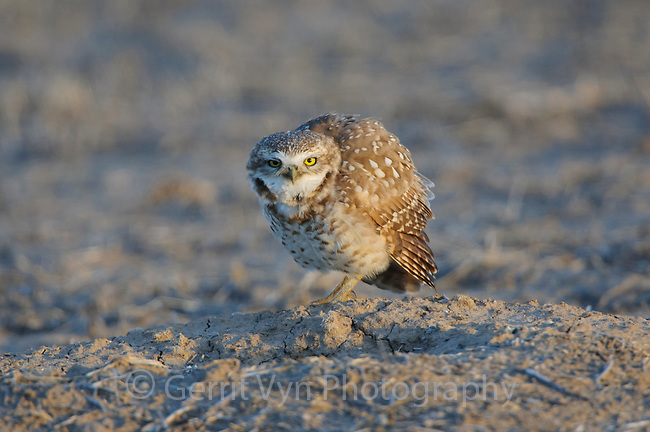 Adult Burrowing Owl (Athene cunicularia) vocalizing at nest burrow in a prairie dog town. Cimarron National Grassland, Kansas. April.